Dirty Audio is back with his newest hip-hop influenced single Mob, and this one will gear you up for a night of bottles, beats, and debauchery. 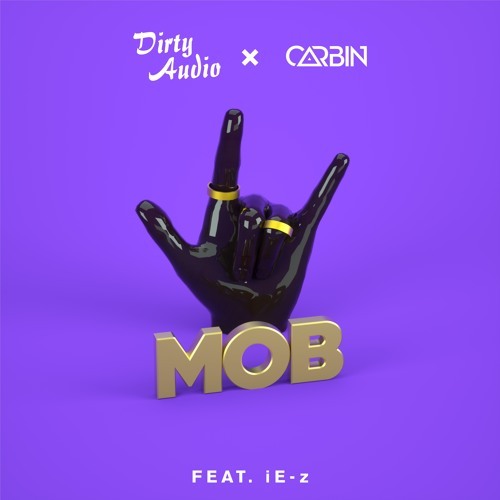 Dirty teamed up with up-and-coming bass producer Carbin and rapper iE-Z for the track, creating a winning combination of metallic basslines, electrifying synths and rhythmic vocal verses. I'm now all pumped to party! And best thing is that you can get it for free via the player below! Mob follows Dirty Audio's recent remix of GRiZ's groovy Wicked and the festival bomb Firewalker, proving once again that there is literally no sound this dynamic producer can't conquer!